The center achieved a 130 percent return on investment equating to more than a $48,000 thus far – and it’s only been 90 days. When the Educational Service Center of Cuyahoga County in Ohio was looking for a way to enhance healthcare for its faculty and staff and trim costs, it initiated an employer telehealth program in July 2017. And while hospital IT shops might not typically look to education departments to learn about the Triple Aim, there are lessons that private and public health entities can learn from. In the first 90 days, for instance, were 45 telemedicine consultations happened. The average savings by using the telemedicine option was $342 each visit, and the median wait time until speaking with a doctor was 2 minutes and 23 seconds, said Russ Bennett, director of leadership services at Educational Service Center of Cuyahoga County. “If numbers are extrapolated over the year, we should easily hit more than 80 percent utilization rate by members within the Educational Service Center consortium,” Bennett said. That would be 80 percent of its 569 employees, including teachers, aides, nurses, administrators and others. “Like in most organizations, when something good happens, people share the information,” he said. When a staff member finds out how easy and quick it can be to use, it is to that becomes the best public relations tool, he added. Bennett explained that he has used the service twice for normal ear infections. The telehealth vendor First Stop Health tracks the diversion of costs. In many cases, people are going to urgent care centers and emergency rooms. To do things via telemedicine is much cheaper and easier for patients. The employee pays only for medicine, if prescribed. All told, the Educational Service Center of Cuyahoga County has earned a 130 percent return on investment totaling some $48,000 in the first 90 days and that’s despite the fact that many employees are off for the summer and don’t come back into work until mid-August. Employer-based telemedicine is growing outside of Cuyahoga County as well. 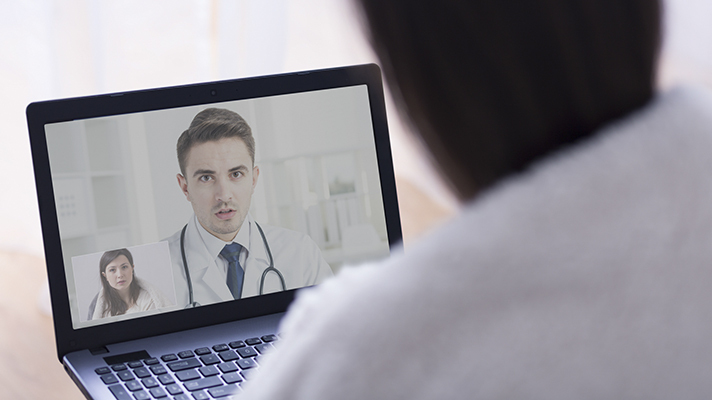 An August 2017 survey from the National Business Group on Health, in fact, found that telehealth offerings by employers are becoming nearly universal. Next year, 96 percent of employers plan to offer telemedicine services to employees, up from 90 percent this year. NBGH polled 148 large employers for the survey. NBGH has been doing this study for four years now, and the progression has been steep, with employers reporting just 48 percent adoption in 2014.